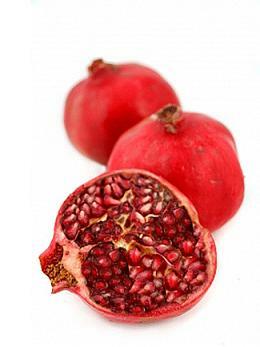 An Iranian study suggests that drinking concentrated pomegranate juice may help to reduce cholesterol levels. Pomegranate juice contains high levels of antioxidants, particularly polyphenols, and this is why it is thought to be so beneficial. Please note that, however, more research is needed to ascertain that the benefit is for real. Source: Cholesterol-lowering effect of concentrated pomegranate juice consumption in type II diabetic patients with hyperlipidemia.